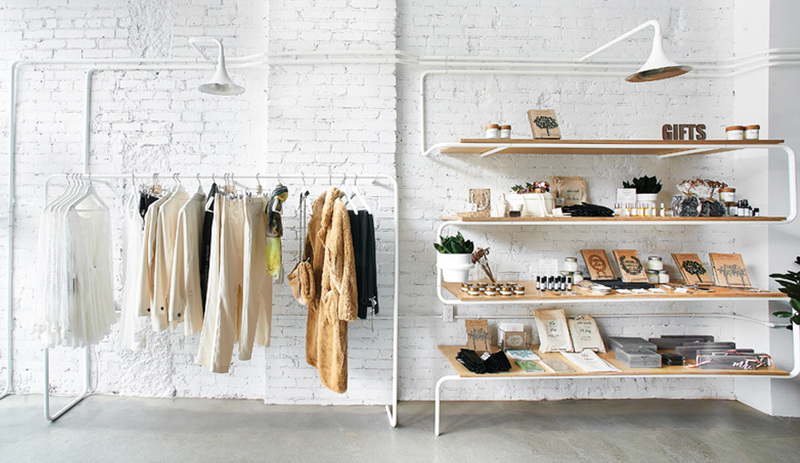 Malleable steel tubing, which supports the cashier’s desk, curves out into shelv­ing, lighting and clothes racks. The shop carries such coveted labels as Stone Fox Bride out of New York and Toronto’s & For Love. “We were tired of super-feminine bridal places full of poofy ball gowns,” says co-owner Patricia Spencer. Known for its industrial edge, Toronto firm Castor Design gets delightfully sentimental with LoversLand, an edgy bridal store swimming in white and lace. 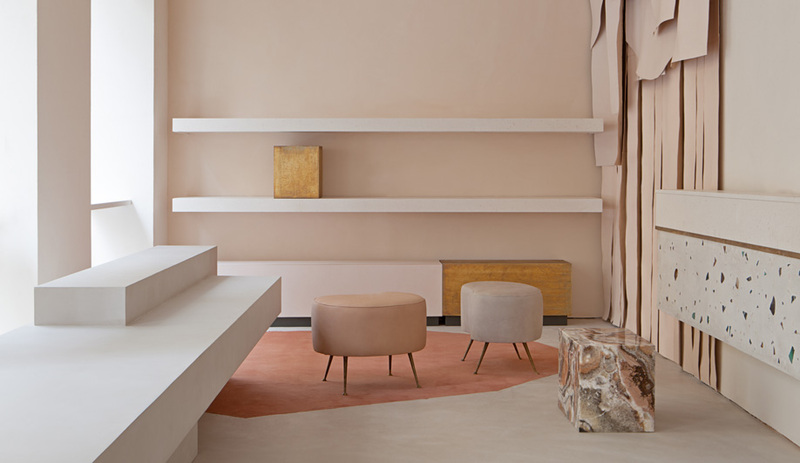 Toronto’s LoversLand, with its polished concrete floors and mismatched bohemian fabrics, makes a stark departure from the staid aesthetics of most wedding shops. At its heart is an industrial expression: a trio of Clusterlamp pendants by Moooi spotlights a cashier’s desk topped in Corian, which serves as the starting point for a fleet of eight malleable low-carbon steel tubes, powder coated in white and arcing out along the walls to every corner. 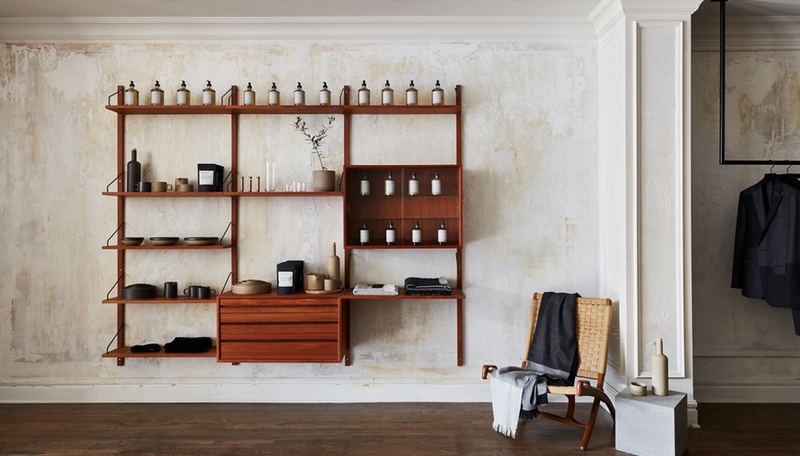 Some end their journey by bending into clothes racks or integrated lamps; others support birch plywood shelving; and still others turn upward, curling around a half-dozen potted plants suspended in midair. 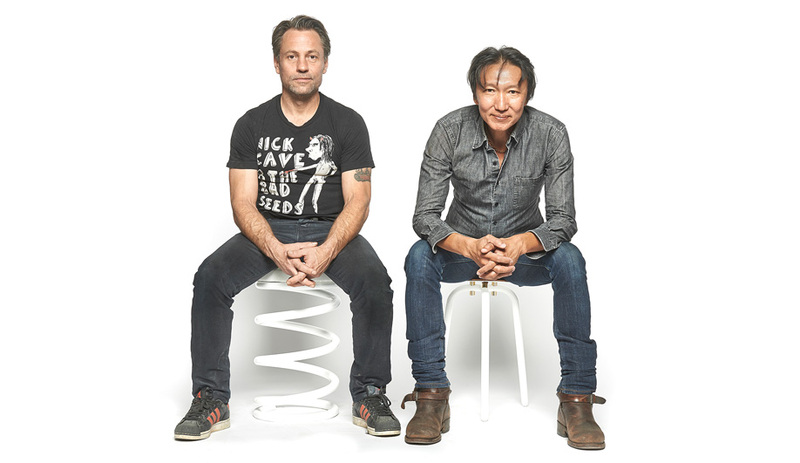 Brian Richer, co-founder of local firm Castor Design, was a surprising choice for the bridal salon. Best known for lights built from sawed-off fire extinguishers and burnt-out fluorescent tubes, the studio run by Richer and partner Kei Ng is the antithesis of lacy garter belts and floral confections. 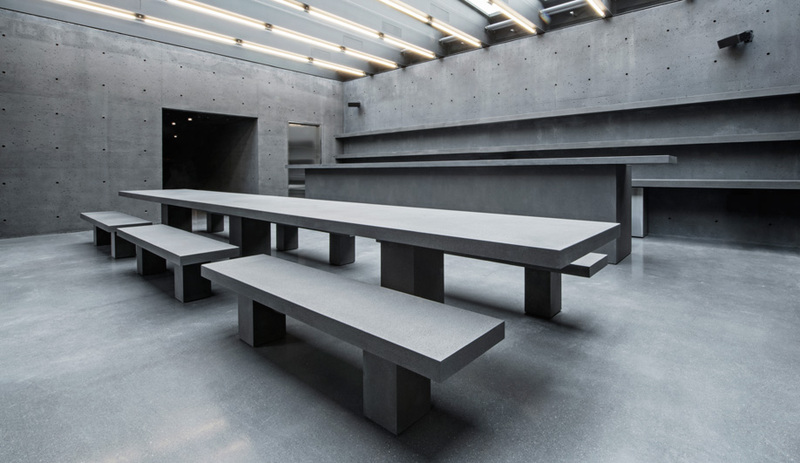 Its robust products and edgy installations are fuelled by a creative use of materials, a collaborative hands-on approach and a healthy dose of irreverent Canadiana. All of this is reflected in Castor’s own string of local eateries, Parts & Labour, its sister burger joint, P&L Burger, and OddFellows (now closed). Yet this is exactly why LoversLand co-owner Patricia Spencer, a former store director at several J.Crew shops, called on Richer. Open since last November, the shop is located on Ossington Avenue near Dundas Street West. 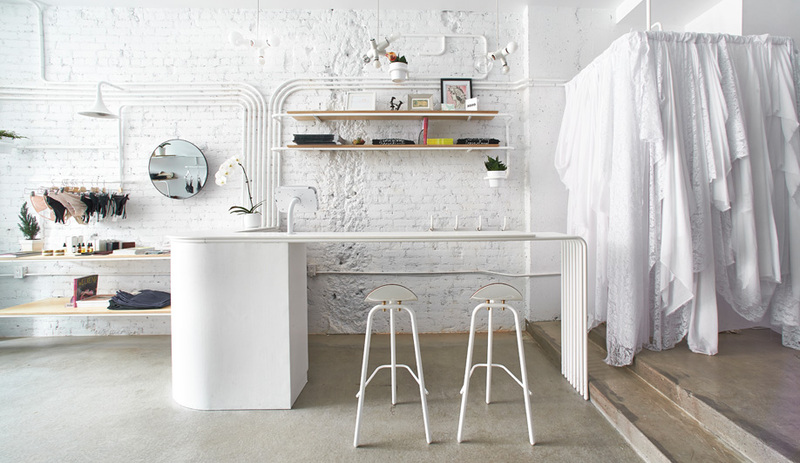 “This neighbourhood is all brass and glass and exposed brick,” says Richer. Indeed, the trendy strip has been revitalized in recent years by a winning formula of refurbished industrial spaces, microbreweries, and indie cafés. But it’s a formula nonetheless, and Richer wanted to disrupt it with a white-on-white scheme, free of cedar beams and crumbling red brick. 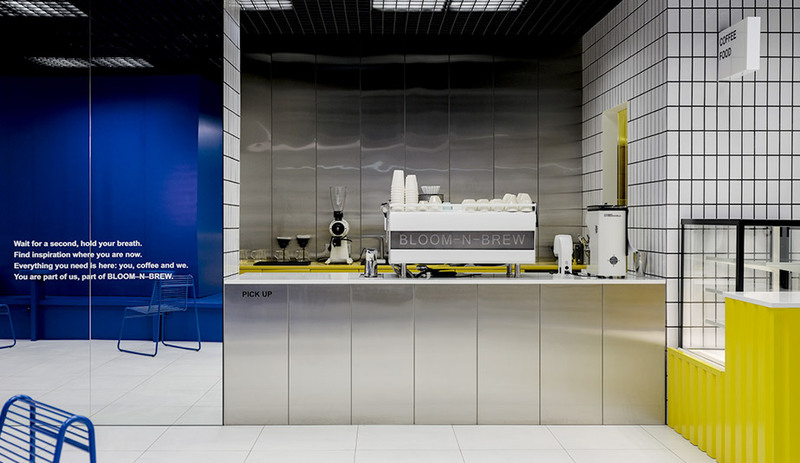 The 120-square-metre shop is a punctuation mark, jolting the street awake from an aesthetic that had become de rigueur. At the entrance, women pose for fantastical bridal selfies in front of a floor-to-ceiling photo mural of the nave at Toronto’s St. James Cathedral. Customers proceed past shelves of flower crowns, honeymoon-ready lingerie and “lovers’ oil.” On the wall, fluorescent tubes blaze XOXO across the wall, Richer’s own design. The lights don’t need to be plugged in. Instead, the gas in the tubes is activated via induction: a thin red wire strung nearby has enough of an electromagnetic field to do the trick. “I’m surprised nobody else has done this,” says Richer. 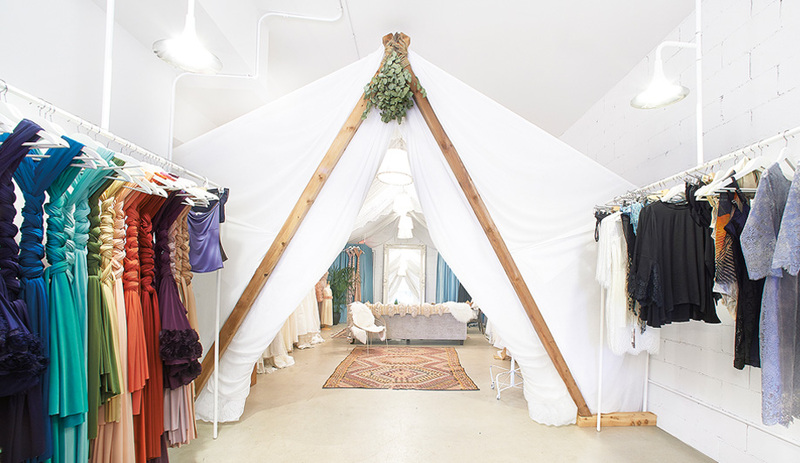 At the rear of the shop stands the showpiece, a dreamlike tent made of lace and cheesecloth called The Haven, designed to spark brides’ imaginations. 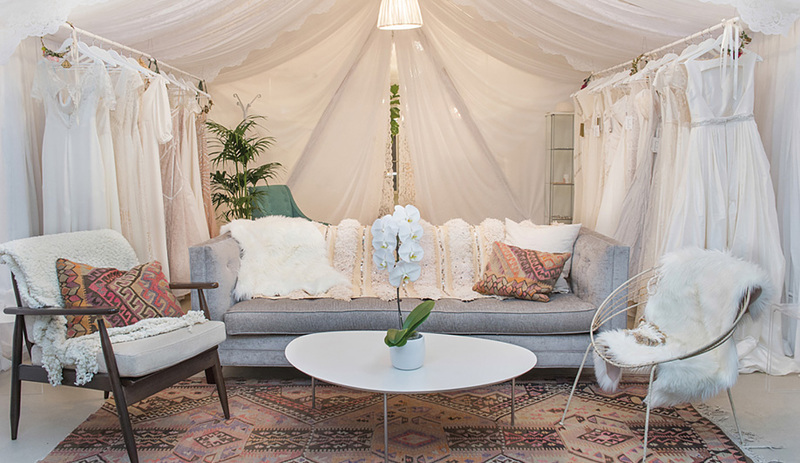 The enormous tent flaps part as suggestively as the slit of a skirt, giving way to an enclave that the owners were invited to decorate themselves – so long as they stuck to what Richer calls “the Wes Anderson effect.” Palm trees soften the periphery, while a cozy mix of seating and vintage Turkish rugs encourages lounging during gown fittings. 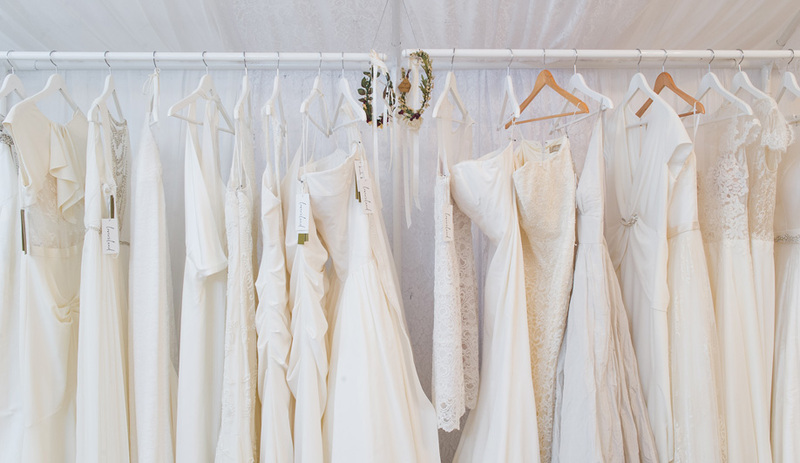 Brides reserve the space for sessions with style experts, working through racks lined with bridal labels that veer toward the urbane. LoversLand is located at 215 Ossington Ave. in Toronto.